CCA Kids Blog: Let's Turn FB & Twitter Yellow! 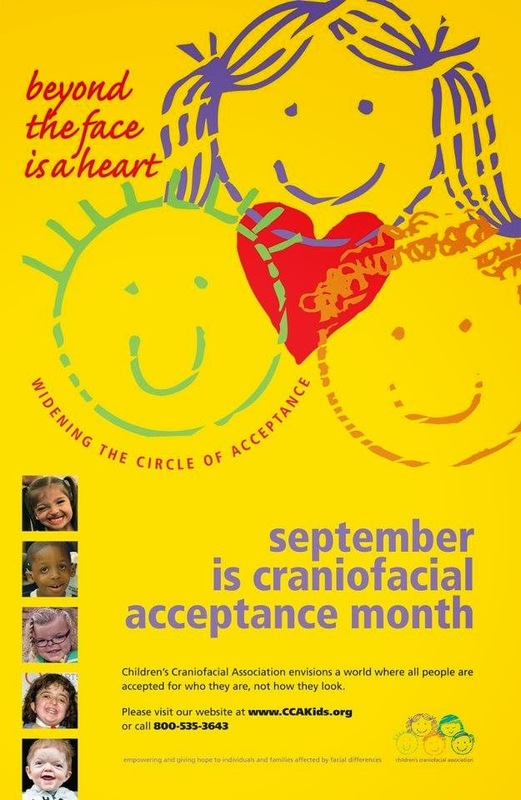 Are you ready for Craniofacial Acceptance month?! It's our favorite time of the year! STARTING SEPTEMBER 1, we want our followers to turn Facebook and Twitter yellow! You can download avatars from the CCAKids site for Facebook and Twitter and change your profile pictures to the CCA logo and poster. There's also a list of CAM picnics going on around the country! We're looking forward to a great month celebrating acceptance and spreading awareness with you! Stay tuned for posts all month long featuring special events, information, and personal stories from CCA families.